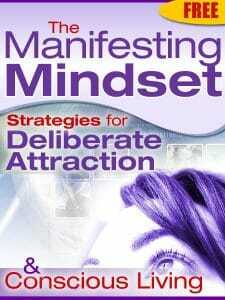 This was originally published in 2006 as one of my content-marketing articles (i.e., “lead magnets”) for The Manifesting Mindset (download the PDF or read it online). There is the story of the kindergarten teacher who asks a child what she is drawing. “I’m drawing a picture of God,” the child replies. “But, sweetheart,” says the teacher, “no one knows what God looks like.” They will in a minute!” says the child. Big Thinkers possess this childlike faith. Not a childish faith that lacks maturity and understanding, but an attitude of deep faith in themselves. If you are a big thinker, you have an inner voice that asks “why not…” and “what if…” and you’re in tune with your own skills, talents, and abilities to SEE the unseen or create the uncreatable. The Italian sculptor Agostino d’Antonio worked diligently on a large piece of marble. Unable to produce his desired masterpiece, he lamented, “I can do nothing with it.” Other sculptors also worked this difficult piece of marble, but to no avail. Michelangelo discovered the stone and visualized the possibilities in it. His “I-can-make-it-happen” attitude resulted in one of the world’s masterpieces – the statue of David. But … if thinking big is all it takes, by now, wouldn’t we already have a world full of people steadfastly achieving their goals and bringing major accomplishments into their life? Let’s look at an example of a Big Dreamer first; then maybe I can shed some more light on the question above. There is the story of Ray Kinsella (played by Kevin Costner) who hears an ethereal message (“If you build it, they / He will come”) that inspires him to construct a baseball diamond in the middle of his Iowa cornfield … with the promise that the ghosts of famous baseball players will inhabit it for games at night. Ray heard his inner voice (let’s just say his connection to source or his higher-self), believed in the possibilities (however far beyond obvious), talked about it with intention, clarity, and passion. He took action on his inner promptings, regardless of how nonsensical they seemed at the time. One of the manifesting mentors I interviewed basically told me everything in the world is suggestion – just one step away from a dream. Ray Kinsella: No – it’s Iowa. .Ray: Is there a heaven? Yes, Big Dreamers – just like Big Thinkers – find it easy to believe that all things are possible, and that life can be as passionate, pure and invigorating as fresh-cut outfield grass. However, oftentimes, this is where to two similarities end. For instance, to me, the movie Field of Dreams isn’t so much a story of a possibility-thinking farmer, searching for boyish excitement in his life, as much as it is a story about TRUST and the power of VISION mixed into the manifesting process. A bonafide Big Dreamer is somebody who is what I like to call a Vivid Visionary. 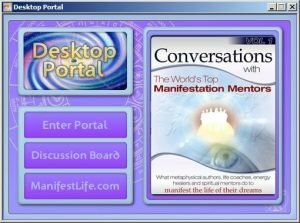 Just like Ray, they have a personally compelling belief in the “inner voice” that prompts them along to take the little steps that eventually lead to bigger steps, unleashing the power of manifestation in their life. And that power basically says: whatever it is you think constantly about, feel good about when talking about it, or become immersed in with unwavering emotion and focus, will become evident for you – not only to your own senses but to those around you who were involved while you took that first small step. Sure, we all know the movie was fiction – a fantasy film, based on W. P. Kinsella’s 1982 novel “Shoeless Joe” – however, when you watch the progression of Kevin Costner’s character (Ray), from the first few dismissals’ of his inner voice to his KNOWING that he was personally responsible for turning his vision into reality, you get to see a Vivid Visionary in the making. “I have dreamed. I have turned my mind loose to imagine what I wanted to do. Then I have gone to bed and thought about my dreams. In the night I dreamt about my dreams and turned then into my Vision. Personal Accountability Check – How many of you reading this truly spend at least 15-minutes a night imagining what you want in your mind, energizing it with feeling (i.e., putting yourself in the picture versus looking at the picture screen from the auditorium), and then affirming it mentally when you wake up? Come on … be honest ! “Just 15 minutes of creative visualization a day can change you life in unimaginable ways. It’s just that most people don’t believe in their own imagination”. There’s incredible wisdom and stinging truth in that statement. More so than just personal confidence, big picture thinking, or being an idea-driven person, being a Big Dreamer is all about taking your wants to sleep, thinking constantly about them, talking about them, planning them with focus, and adding all the spices to your dreams that will give you the realization of actually manifesting your dreams – bigger, better, and faster than ever. The ability to image, and the ability to expect what we dream about to come true, are two of the finest qualities of being a human being. So, dream on …. but, add some ACTION (without it, you’re just a Big Thinker), sprinkle in some FOCUS (think about your dreams / desires enough to bring them into consistent awareness), and top them off with TRUST (that you will, without question, always get exactly what you ask for). You truly are the one who STARTS it all – from day dream, to night dream, to living out your dream – regardless of how outside of you it may SEEM! Ray : It was you? The above article was originally published in 2006 as one of my content-marketing articles (i.e., “lead magnets”) for The Manifesting Mindset (download the PDF or read it online).